The ODA is excited to present a way for you to highlight your practice and your membership to all of your followers! The #WhyODAWednesday contest is a fun way to offer you an easy avenue to promote your ODA membership and the value it brings to your patients! 1. First, make sure that your 2019 dues are paid. You must be a current ODA member! 2. 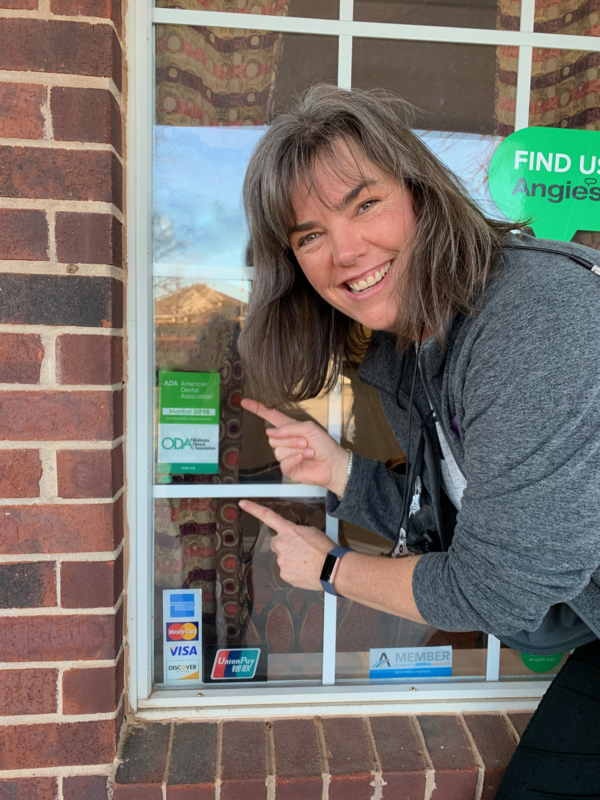 Take a picture with you and/or your staff with your ODA Membership Decal displayed in your practice and caption it with why you love being an ODA member. Post your photo on any Wednesday throughout the duration of the contest. You may also email your photo submission to our office and we will share it on our social media page on a Wednesday. 3. You MUST tag the ODA and use the hashtag #WhyODAWednesday on each post for it to be eligible. Each post will count as one submission. (For example, if you post the same photo on Instagram, Twitter and Facebook, that photo counts as three entries). If you are unable to post on a Wednesday, or your office does not have social media, you may send your photo to the ODA via email or text with your caption, and we will share the post for you, which will count as your entry. 4. The contest will be open from Wednesday, January 16 to Wednesday, March 27. 5. The ODA will draw for one winner to receive one FREE Member Dentist Basic registration to the 2019 ODA Annual Meeting. The winner will be announced no later than Friday, April 5. If you have already registered for the annual meeting by that time, you will be reimbursed for the price of one Member Basic registration. 6. HAVE FUN! Take this opportunity to connect with your patients and get more active on social media! Dr. Shannon Griffin shows off her ODA Membership! Contact Madison at mdouglas@okda.org or 405-848-8873 with any questions.